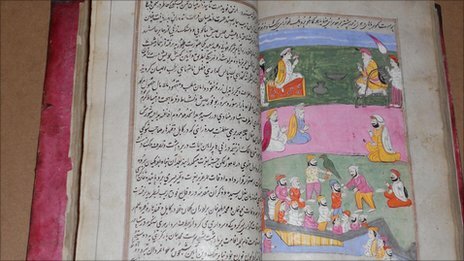 Key historical documents from India, including an illustrated history of Kashmir, have been sold in the UK. The Kashmir manuscript contains nine paintings, including that of the famous Maharajah Ranjit Singh, and sold for £11,700 ($19,000) at auction. Other items included original paintings, miniatures on ivory, historical documents and statues. A portrait of Maharajah Rajinder Singh of Patalia - an honorary general in the British army - was also for sale. But arguably the most eagerly awaited part of Thursday's sale was the Kashmir manuscript. 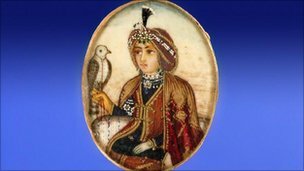 "Kashmir was an important stronghold for the Sikh Kingdom - it was annexed in 1819 by Ranjit Singh ending 400 years of Muslim rule," explained Richard Westwood-Brookes, a spokesman for Mullock's auctioneers. "Kashmir flourished under Sikh rule and became the second highest revenue earner for the Sikh empire. "The manuscript contains nine paintings - one being a court scene of Ranjit Singh in discussion with Gulab Singh. 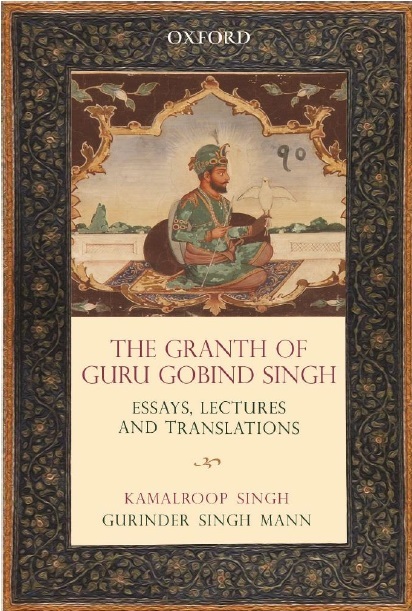 In fact it probable that this manuscript was commissioned by Ranjit Singh himself," he said. The portrait of Maharajah Rajinder Singh of Patalia - famous for marrying 365 wives and being the first man in India to own an aircraft - was expected to sell for more than £9,800 ($16,000) but did not attract a buyer. Mr Westwood-Brookes said that was probably because of its large size. However a rare photograph of the maharajah did sell for around £550 ($900). Also under the hammer was an antique reproduction of the British imperial state crown, complete with a replica of the famous Koh-i-Noor diamond. Selling alongside it was a letter dated 1865 which describes how the diamond was surrendered to Queen Victoria by the Maharajah, Duleep Singh. "This was without doubt one of the most important collections of this type of material to come on the market in the past few years," said Mr Westwood-Brookes. The auction was held in Ludlow, in the English county of Shropshire.